Could ISIL attacks in Tehran plunge the Middle East into greater turmoil? 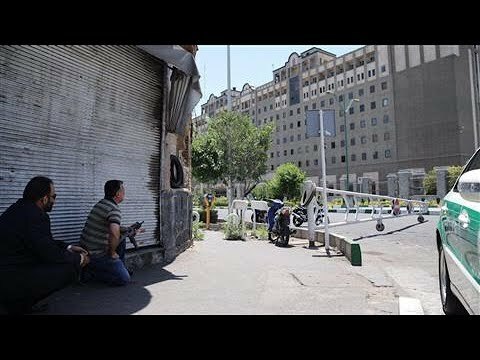 Iran experienced its first major ISIL attack on June 7, as armed men and suicide bombers targeted two symbols of the Islamic Republic in Tehran: Ayatollah Ruhollah Khomeini’s mausoleum and the Iranian parliament. At least 12 people are reported to have been killed and 42 wounded. The countries are also both fighting against ISIL in Iraq in a tacit agreement about their shared interest in destroying the group. The latter has now responded with a direct attack on Tehran. But that violence is likely to harden Iranian resolve for fighting ISIL. Will Iran downplay the ISIL attack, as the reaction of its Parliamentary Chairman Ali Larijani seemed to indicate? Or will the event increase regional tensions between Saudi Arabia and Iran as IRGC has promised? The Saudi minister of defence recently issued a not-very-thinly-veiled threat against Iran, saying, “We will work so that the battle is for them in Iran”. If anything, the recent ISIL attack may elevate the Iranian-Saudi rivalry to a new level.